The lovable one eyed sailor Popeye first appeared in a King Features comic; “Thimble Theater” in 1929, becoming the strip's titular character throughout the 1930s. He has since been featured in animated cartoons, comic books, arcade games, a feature film and his image has been utilized for various advertising campaigns of the past for - you guessed it.... spinach and smoking products! Interest in the iconic sailor man should see a revival soon, what with Sony Pictures developing a CG Popeye movie that will be released in 3D. Plans for the project have been in the pipeline for several years now with internal studio delays holding up development; now however, that highly sought after screenwriter T.J Fixman (Ratchet And Clank) is now aboard the Popeye vessel. Popeye was created by cartoonist Elzie Crisler Segar and adapted for cartoon shorts in the 1930s by Max Fleischer for Paramount Pictures. The character has become a familiar icon of pop culture, his spinach guzzling, cigar smoking, sailor brawling antics consistently appealing to audiences of all ages for almost 90 years. Sony's CG adaptation will be the first Popeye movie project since the 1980 Robert Altman feature with the superbly cast Robin Williams (Popeye) and Shelly Duvall (Olive Oyl). Deadline have reported that Fixman will be replacing original script writers Jay Scherick and David Ronn (The Smurfs Movie) for the movie, which has also recently lost its director, Genndy Tartakovsky (The Powerpuff Girls, Dexter's Laboratory). Tartakovsky's vision for Popeye was for an artful representation, whimsically removed from realism - but despite test footage (released in 2014) being well received, he has now left Popeye to create his original project Can You Imagine for the studio instead. Fixman has plenty of experience writing for a young demographic and as a consultant for Hasbro. He has recently sold scripts to Universal, New Line and Disney and is currently developing a pilot with CBS. Despite all of these changes and delays, Popeye has the potential to be a delightful family friendly feature that will introduce this unique character to a fresh young audience and appeal nostalgically to existing fans. The fear is that the brawling, smoking, less savory elements of the character (who was inspired by a real life 1920s drunken sailor) will inevitably be watered down to fit contemporary cultural standards for young audiences - though Fixman may have the necessary experience to adapt a fun filled plot to please both young and old viewers. Providing Popeye does not face any more setbacks, the movie is expected to reach theaters in the next couple of years. In the meantime, we can look forward to casting news about who Sony will court to voice the iconic characters of Popeye, Olive and Bluto. 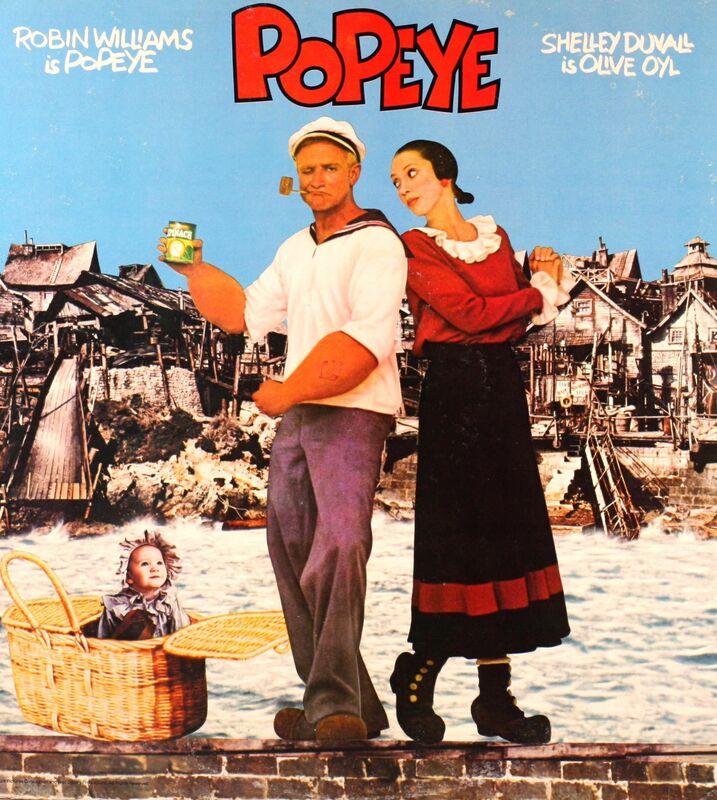 We will keep you up to date with further production news for Popeye as it develops.